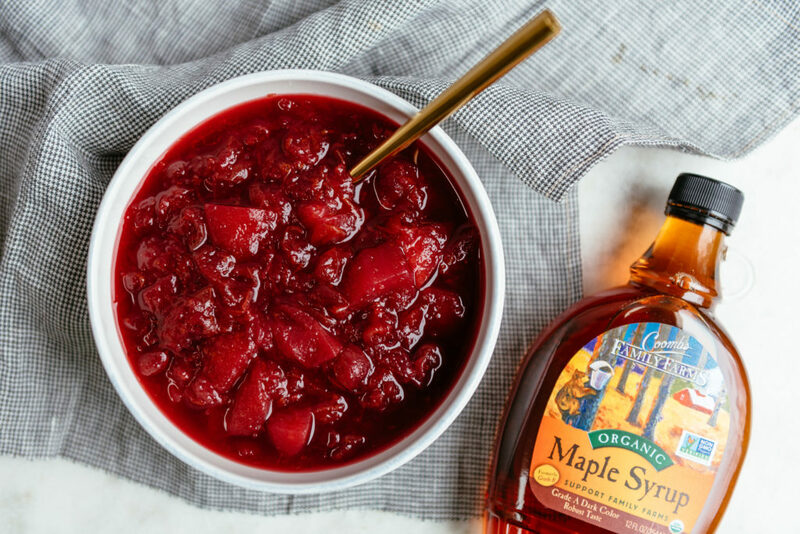 In a medium saucepan over medium heat, combine cranberries, maple syrup, and water. Cook for 5 – 10 minutes or until the cranberries start to pop open. Add the apple, zest, and juice and simmer for 30 – 35 minutes or until the cranberry sauce has thickened. Remove from heat, let cool completely and then refrigerate until ready to serve.